Wind Horse Records bursts forth once again with another edition of the Indian deep house label’s yearly sampler series. These samplers have served as an exciting platform for showcasing Wind Horse’s more experimental side and to introduce some new producers that will be working with the label. Wind Horse Sampler 6 features eleven deep and exotic house music tracks from up-and-coming artists hailing from South Asia and around the world. Most of the sampler’s producers are based across India, as Wind Horse works to discover and expose electronic music from within its home country. But, as the label has an eye on the global house movement, artists from Jamaica (David Marston), Russia (Igor Gonya), South Africa (Master Kenton) and Morocco (Kali G) are also included. Wind Horse aims to cover all points of the globe, to show that forward-thinking electronic music can spring from any city or country, whether from somewhere in India or any other as-yet-revealed locale. Stalvart John opens the compilation on a thoughtful note with “A Dream I Can’t Remember”, setting the mood for this diverse sampler with an ethereal yet somewhat jazzy soundscape. Then on “Ragamuffin” David Marston blends his deep house proclivity with an Indian influence, introducing a siren-like ‘eastern’ female vocal to the swinging four-on-the-floor beats. Igor Gonya (Lisztomania Records) delivers an old school Chicago-sounding house cut named “Morning Cake And Tea”, featuring enough skippy rhythms and staccato chords to get the nightclub jumping. “Cyclic” is a contribution by Mumbai’s Farhan Rehman, and it’s a rolling house number with floaty keys, vocal hits, and creaking percussion. Master Kenton keeps things firmly in his pocket with the mesmerizing “Brain Waves”, a track that touches the sonic pleasure center using its sublime textures. Next up is Hans Séance with the deep and especially dreamy “Paragon of Virtue”. Warm pads, arpeggiations, and bell-like tones flow steadily above a subdued four-on-the-floor beat. Folic State moves things into the techno realm with “Mashita” and its echoey synth lines, mysterious spoken samples, and sci-fi atmosphere. The growling tech-house of Bangalore’s Synister whose “Eastern Dream” brings a dark mood utilizing busy percussion, transformed vocal hits, and a prominent low end. Tatsama’s “Empathy” follows, with a taste of the deep, exquisitely layered, and punchy house music that Wind Horse is known for. The ‘dream’ theme is revisited by Tasnneem, who states “It Was All Just A Dream” in her bass-heavy but gentle house music exploration. Finally, Wind Horse Records’ own Kali G tackles Troja’s recent track “Shanti”, going for a dubby treatment that plays with splashes of percussion and echoed instrumentation to create a satisfying aural journey. 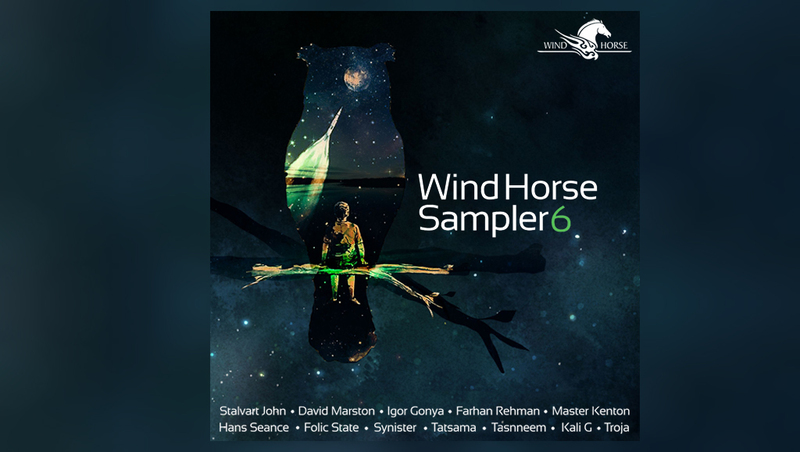 Wind Horse Sampler 6 continues the high production quality, ambitious musicality, and deep beats that is the label’s hallmark. The collection sets up the fantastic releases yet to come in the next year, and proves Wind Horse Records is one of the big labels to watch.